He said he was confident that justice will be served and therefore, asked them not to despair. Atiku made the appeal during a closed-door meeting with the forum at the home of elder statesman Chief Edwin Clark in Abuja, while also reiterating his commitment to restructuring. 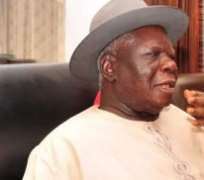 In the same vein, the Chairman of the Forum, Chief Edwin Clark insisted that restructuring is the only guarantee for Nigeria's unity. “We will continue to be with the promoter of the restructuring of Nigeria. We want restructuring. No restructuring, it will be difficult to have Nigeria,” he said.